I love “people-watching”. I go to malls, grocery stores, parks, etc. and watch how people think, behave and speak. Sometimes this is enlightening for me, and I am able to understand certain things about families. I suppose because I am trained in recognizing patterns and behaviors in children, I frequently observe children acting out and have identified what I believe to be three common threads. I stress with the parents that I train in Child-Parent Relationship Therapy to home in on the specific issues and reasons for problem behaviors, rather than just respond to such behaviors. There is always a reason why a child acts out, positive or negative. Discovering the root of the behaviors can be a way to understand and prevent them. One of the things that I have observed, especially around meal times, is that children act out when they are hungry. Parents need to eat less frequently than children, since age slows down metabolism in the body. Children also burn more calories than most adults with their activity levels being higher. This can often be overlooked if the parent is busy and is not hungry themself. This is a significant topic for me, as I have low blood sugar. I need to eat something every few hours. Children should be on the same schedule throughout the day, with small snacks in between the three main meals. One of the things that strikes me is I often hear children crying, screaming or throwing tantrums when families first come into restaurants, but rarely at the end when the child has been fed. Another issue that I observe when children are acting out in public is that they are tired and need to sleep. Children until the age of about 6 should have solid nap times during the day. Each child will require different amounts of rest, but keeping a child out on a parents’ busy day of errands and obligations keeps children from recooperative and restorative sleep. I observed this a few weeks ago on vacation. Our flight from Detroit into Traverse City, MI left at 10:35pm. There were two mothers with children under the age of five, and both children were screaming and crying, inconsolable and defiant during boarding. One mother recognized her son was exhausted and tried to be understanding by holding him. The other kept insisting her child behave and punished him for acting out, which made the tantrum worse. Both boys were exhausted and up far too late. Once the boys slept on the plane, de-boarding went off without a hitch. The final common thread I observe in negative behaviors in children is being ignored. Most children are not able to sit still with no stimulation until age 10 or so, some later. I often observe parents at a restaurant or store carrying on with adult conversations or responsibilities and the child is ignored. Bored children will create something to keep themselves occupied! Parents can not expect young children to keep themselves interested in adult things. This can be seen most often in restaurants. After the child finishes eating, the parents continue talking and finishing their meals. The child starts getting fussy, playing with silverware, straws, spilling drinks, throwing things on the floor, etc. They have nothing to do, so they “act out”. 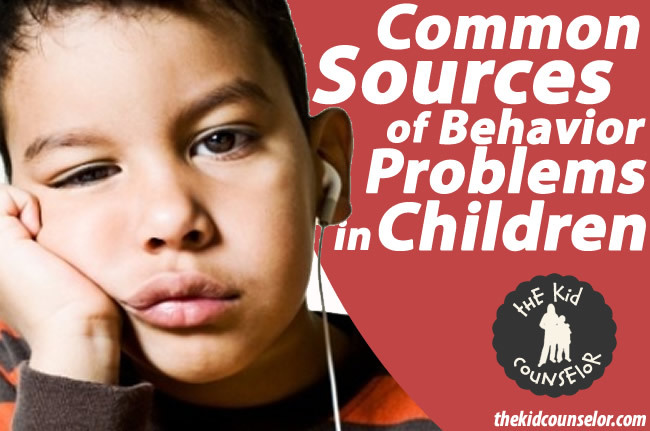 Now that we have identified some of the typical causes of misbehavior in children, let’s look at how to prevent those issues. Hungry children present the least of the problems. Always have small snacks with you, such as goldfish, grapes, cheerios, etc. and try that first. If a child is hungry, eating should stop the behavioral issues quickly. Try to avoid sodas and sweet snacks. This will give a rush of energy from the sugar and then cause a blood sugar crash, which puts you back at square one. Keep an awareness on body language of children. If they are rubbing their eyes, dropping their heads, become more clingy, stop being as active, or get very sensitive, these are indicators that they need to rest. Overstimulation is one of the most overlooked but common issues with children. Be ready to take them home and give them a nap, even if it means postponing errands until later. Finally, children can be stimulated and kept occupied in most settings. Some locations will be more difficult to provide activities, but keeping crayons, paper, books, games, etc. with you will give you a break and the child something to do at a dinner table, church service, waiting room, and other places where bad behaviors can be frustrating and challenging to control. The more aware and prepared you can be, the better for you and the child!